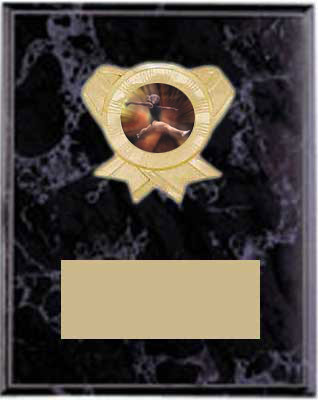 Thank you for dropping in to Our Gymnastics Plaques Awards page. 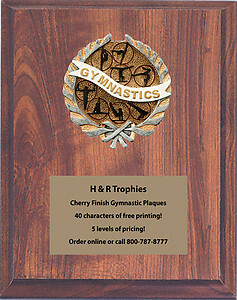 We know you are looking for a good deal and a quality gymnastics plaque, and we will do our best to deliver for you. 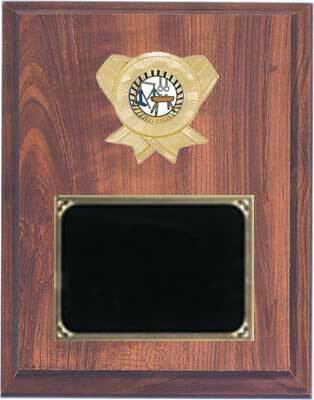 Here you will fine 4 styles of insert gymnastics plaques, both will hold the same 2 inch inserts. 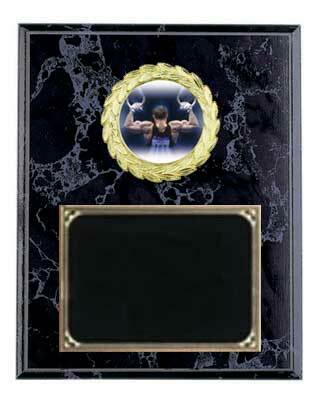 We have 6 gymnastics plaques inserts in male and female allowing you to customize your plaques at no extra charge. 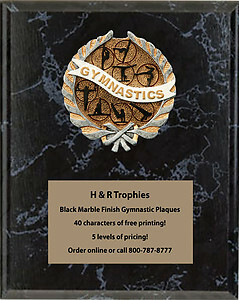 Gymnastics plaques may be purchased in 3 wood types, cherry finish, black marble finish and solid walnut. All wood types are available in sizes 5" by 7" up to a huge 12" by 15". 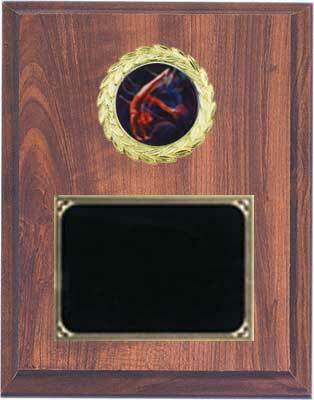 With having so many size options you can spend what you can afford for a quality gymnastics award. I think you will be pleasantly surprised by our prices and you?ll be able to get more bang for your buck! 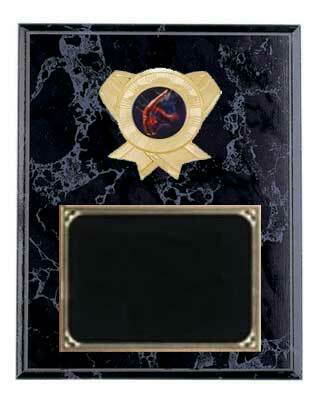 We give you added value by giving you free engraving of the first 40 characters on every gymnastic plaque on this page. If you need more text it is only 7 cents per character. Our 5" by 7" plaques are as low as $5.99, we don't have a minimum order, purchase as many as you like. Click on a plaque below for more information and to make your purchase. Begin your hassle free gymnastics plaque shopping today!